Come out to the Bell House and have fun for a great cause! 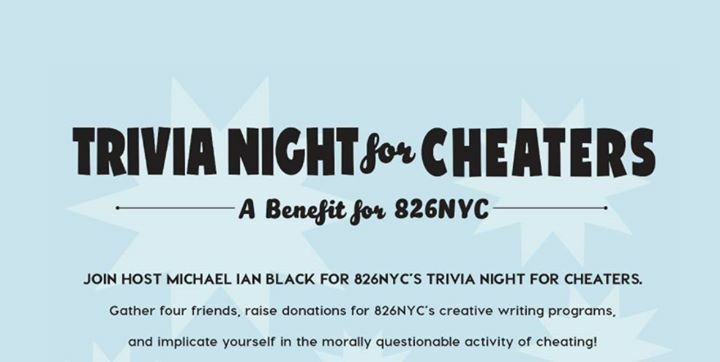 Bring friends, raise money for 826NYC’s young authors and cheat in an amazing trivia game hosted by Wyatt Cenac. The more money you fundraise the more cheating you can do edging out the competition to win awesome prizes, like an X Box X with games and more. MaxFun NYC is fielding a team, and we need YOUR donations! Help us raise money for a great cause!